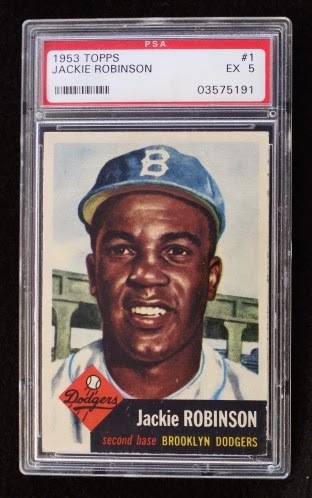 The 1953 Topps Baseball Complete Set is one of the most beautiful and artistic sets that Topps has ever created. The set consists of 280 cards that were released in four different series. This set is missing cards #253, 261, 268, 271, 275 and 276. This was due to the fact that Topps hoped to nab players who had a contract with Bowman, but the contract was not expired yet. When these cards were first introduced they were sold in Wax packs for five cents each. 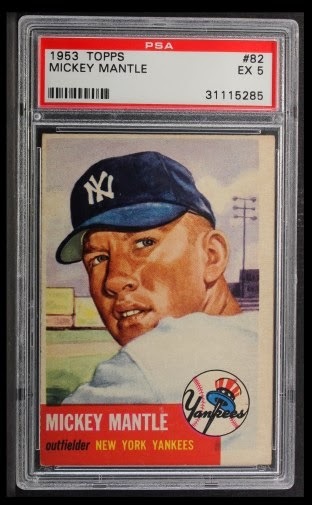 The beautiful portrait like images are based on actual photographs of the more popular players from the series such as Mantle, Robinson, Paige, Berra, Rizutto and Campanella. The boarders of these cards are solid white. On the front side bottom there is a box that features the players name, position, team and the logo of the team. The backs of the cards feature the player’s stats from 1952 and a Dugout quiz. In this year they even decided to distinguish between the American League and the National League. If the player was in the American League the box is red, for the National League it is black. The top selling and most valuable cards in this set are the Mantle, Mays and Robinson cards. This set is very hard to come by due to the many short prints, slim high numbers and variations. With our high inventory of vintage cards we have 5 different sets available that range from Fair up to Excellent Mint. We also have a Near Complete Set and a Low Number Set Available. If you are interested in any of our Complete Sets or Custom Sets be sure to contact us.